AAPI Voices: This Is How We PARTY! We are so excited to be partnering with Cohesion Theatre Company for our next production, Tornkid. Devised by artists from both BAPAC and Cohesion Theatre Company with an original script written by New York-based Filipino American playwright, Katelynn Kenney—best known for her most recent play Wendell and Pan, which premiered at The Tank in New York City earlier this year—Tornkid draws on the power of Asian and Pacific mythology and folklore to explore identity and unearth how ancient female narratives can provide guidance towards healing our broken world. Fresh from her stint as Assistant Director for Baltimore Center Stage’s King of the Yees, Cara Hinh, our Director of Education and Community Outreach, will be directing this piece. Cohesion Theatre’ Company’s Artistic Director Jessica Rassp, best known for her work with Submersive Productions and immersive theatre piece H.T. Darling’s Incredible Museaum, will be creating original puppets for this production. Along with masks created by Waxing Moon Masks Director, Tara Cariaso, Tornkid promises to be a feast for the senses, and an exploration into a world rarely seen on the American stage. Tickets will be on sale soon on Cohesion Theatre Company’s website. Check back for more info and follow our social media pages for the latest news. Click HERE to check out our electronic program. Our storytellers: Davine Ker, Elizabeth Ung, Kim Sou, Kevin Griffin Moreno, and Chann Sou. The Baltimore Asian Pasifika Arts Collective is excited to invite you to our official Launch Event! Join us for the first event of our inaugural season at the Motor House for the Asia North Festival in Station North. We’ll be kicking of our 2019 Season with an evening of food, drink, laughter and hilarious stories during a new storytelling series called AAPI Voices. AAPI Voices: This Is How We Party! honors the ways in which the Asian American and Pacific Indigenous communities celebrate important occasions with loved ones through entertaining, and perhaps mildly embarrassing, stories from various storytellers’ accounts of their own life experiences. We also have some exciting surprises and giveaways for our guests in store so you won’t want to miss the festivities. Following the event, hang out with us in Graffiti Alley as we enjoy food and drinks at the Night Market Underground, hosted by the Charm City Night Market. NOTE: This event is a fundraiser on behalf of BAPAC. While AAPI Voices is free, you can purchase a ticket of your selected price as a tax deductible donation to our organization. All proceeds from this event go directly to the Baltimore Asian Pasifika Arts Collective. For more information and to purchase tickets, go to Motor House Baltimore. Davine Ker is a stand up comedian, improvisor, musical improviser, Moth StorySLAM winner, actor, visual artist and musician. Davine paints the picture with thought provoking jokes, concepts and storytelling. She caters to your comedy appetite while sharing her laugh story with decadent wit cream. She has performed throughout the DC area and as a featured stand up in shows throughout New York, Florida, Virginia, West Virginia, Maryland, California, Illinois, Pennsylvania and Montreal, Canada. Elizabeth Ung goes by Liz or Lizzy, but never by Beth. As a mixed-race kid born in California and raised in Maryland, she's on an existential journey through the mysteries of life, love, and art. Across Baltimore and Washington D.C., Ung has performed as an actor with companies like Submersive Productions, Single Carrot Theatre, Fells Point Corner Theatre, Discovery Theater, Pointless Theatre Co., among many others. She dedicates this performance to her ancestors, who are probably looking down on her with pride and/or concern. 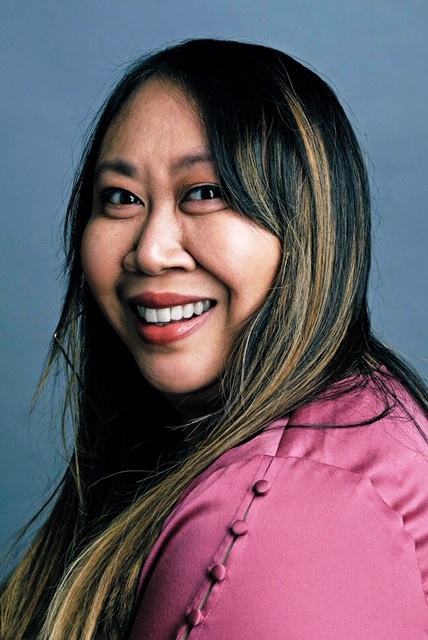 Kim Le is a local multidisciplinary performance artist who has collaborated with several theatres (Cohesion Theatre Company, Submersive Productions, Baltimore Rock Opera Society) in a variety of roles: as an actor, puppeteer, writer, and front-of-house manager. Recently, Kim portrayed the role of "Justine" in Cohesion Theatre's production of Robert Kauzlaric's Frankenstein. Her performance background is primarily in improvisational comedy. Kim joined the Baltimore Improv Group in 2015 and currently performs on a regular Harold team, in addition to several independent projects and troupes. She is also a founding member of the all-Asian improv troupe A++ Comedy, which made its debut this past February. On top of that, Kim has participated in prior story slams, and was featured on a mainstage show of the Stoop Storytelling Series in 2015. Kevin Griffin Moreno tells strange stories, sings weird old songs, and does some acting on occasion. His performance work includes collaborations with Annex Theater, Bruun Studios, High Zero, Stoop Storytelling, and Submersive Productions. Born and raised overseas, Kevin moved to Baltimore in 1994 and forgot to leave. He is infatuated with myths, shape note music, ghost rivers, art that makes you feel things, the origins of place names, the nature of friendship, and making the perfect grilled cheese sandwich. If you like reading poetry aloud outdoors, hit him up about the monthly Poetry Walk he hosts: kmoreno@gmail.com. "Southern Fried Asian" host Keith Chow celebrates life as an Asian American child in a small southern town. From birthday parties at his family's restaurant to what it was like meeting a childhood icon, Keith's story shows a different side of the Asian American story. Keith Chow is the founder of Hard NOC Media, the home of the pop culture website The Nerds of Color, and host of the podcasts Hard NOC Life, Southern Fried Asian, and DC TV Classics. He is also co-editor of the SIUnivese comics anthologies Secret Identities, Shattered, and New Frontiers, as well as the Puerto Rico charity anthology, Ricanstruction. His writing has appeared in outlets such as NBC News, CAAM, SYFY Wire, and The New York Times. By day, Chann Sou is a master of numbers and by evening, weekends and sometimes holidays, he is a Youtuber that uses his culinary skills as a chef to promote Khmer (Cambodian) culture. As a YouTuber, he partners with other communities of color to help them tell their stories through food. He currently has a YouTube series called "Discovering Chann" which is about cooking, self-love and eating. He is going to launch another YouTube series where he hopes it will be picked up by a major network. Chann also caters private dinner parties where he makes traditional Khmer food, performs spoken poetry and teaches non-Khmer people other cultural celebrations. When: Friday, February 15 following the 7:30 PM show. Join BAPAC as we welcome this hilariously talented group of artists at their debut performance The Recital, a comedy variety show coincidentally by Asians. About the troupe: A++ is an independent comedy troupe comprised of Asian-American / Pacific Indigenous performers at the Baltimore Improv Group. We take input from audiences as well as our diverse, uniquely funny backgrounds growing up as third culture kids. About the show: The Recital is A++’s official Baltimore debut, and our second big chance to make our parents proud of us! Come join us for musical performances, improvised comedy and games. Also, we’d love to hear from YOU - audience storytellers are invited to tell a brief story on themes related to growing up Asian, being immigrants or raised by them, or revisiting awkward musical recitals!